Did you participate in "Read Across America" on March 2nd (aka Dr. Seuss Birthday)? It is a nationwide celebration in the U.S. that promotes the love of reading with kids and teens around the country and around the world. 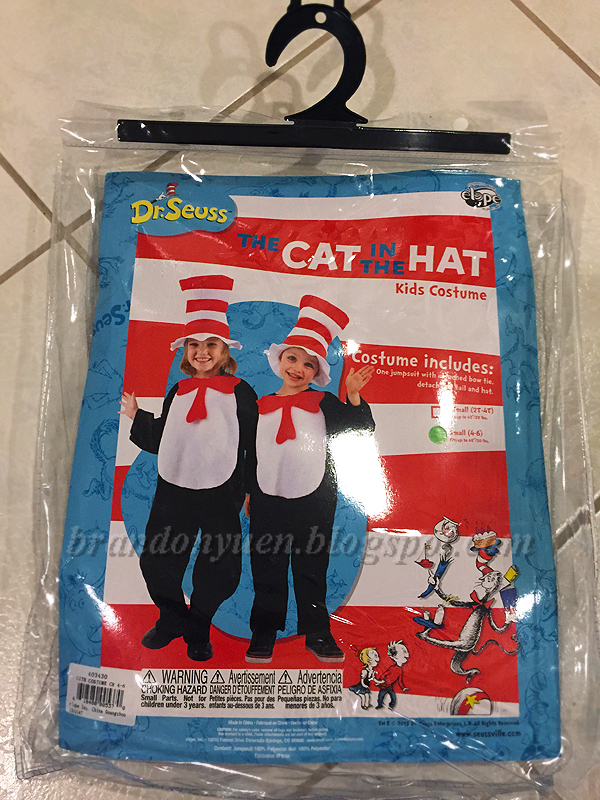 To celebrate, kids dressed up as their favorite "Cat In The Hat" Character and joined in the fun. Little Brandon wore his full costume that was sent to us from Birthday in a Box, a company that provides a wide variety of party supplies and kids costumes. 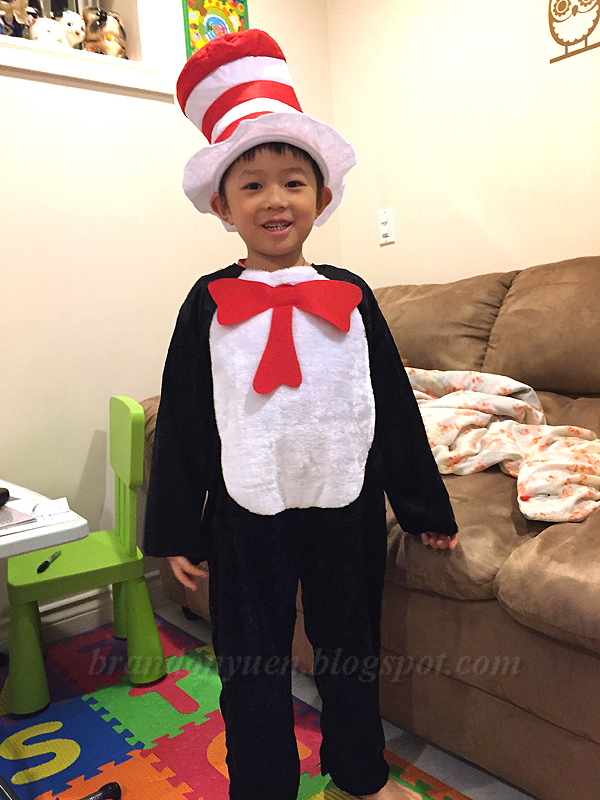 We love this "Cat In The Hat" costume and it fits well on Brandon. Included in this costume kit are the tall stovepipe hat and jumpsuit. The tail is detachable with velcro. The tall hat features red and white stripes just like the one in the book. We still have the character white gloves from our previous costume set so that would make our costume complete. 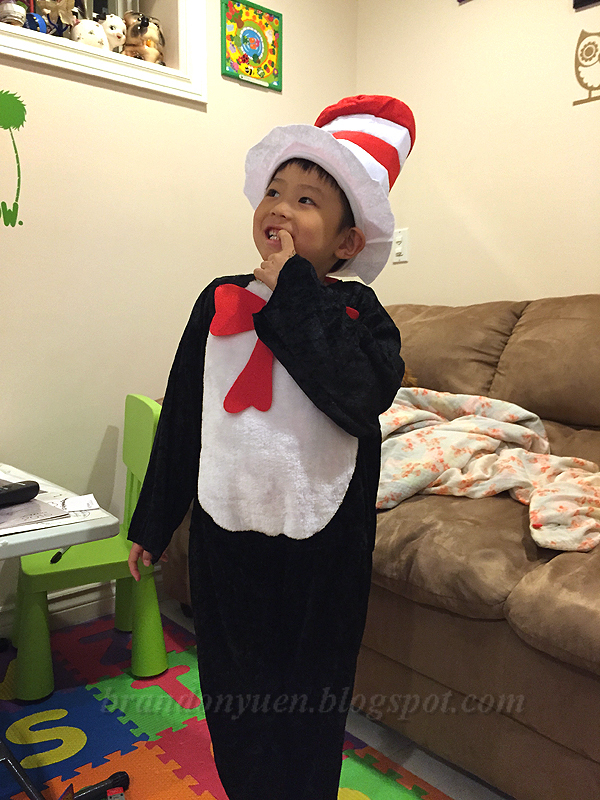 Our Little One is a big fan and his favorite is definitely The Cat In The Hat. What's your child's favorite Dr. Seuss story or character? Leave a comment and let me know. Disclosure: I received a choice of costume from birthdayinabox.com in exchange for my honest review in this post. Any expressed opinions are my own and personal thoughts. No other compensation was given.